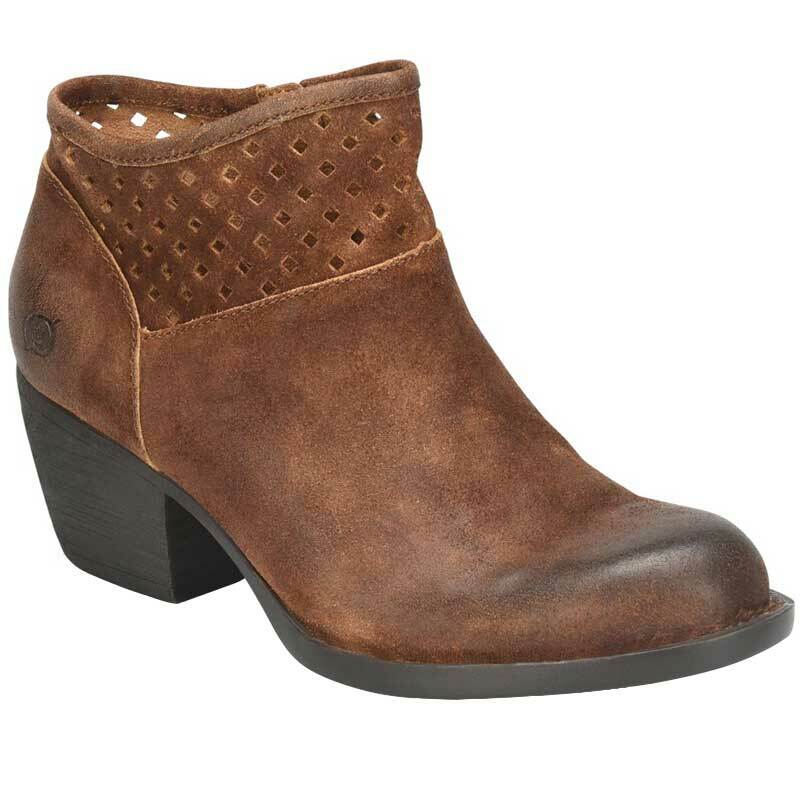 Stylish and versatile with just the right amount of gusto, the Born Winema bootie is sure to become a favorite. This women's ankle boot features a distressed leather upper with unique perforation detail. A side zipper assists with on/off ease, and the microfiber lining helps keep the interior breathable and comfortable. The steel shank provides midfoot support and lateral stability, while the Opanka hand-crafted construction delivers a bond that is both durable and flexible. The Born Winema is simple enough to go with a variety of outfits, but still has little something special to make you stand out for all the right reasons. Love this boot. Cute, fits true to size and can't wait to wear it. The heel is is perfect. I price shopped and Dodds Shoe Co. offered the best pricing on this particular booth. I'm a happy customer.